Antique firearms have always attracted interest from collectors across the sales at Bearnes Hampton & Littlewood and the market for antique guns has continued to rise. 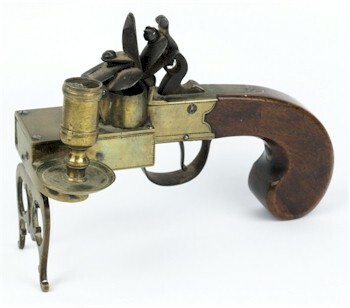 An 18th century flintlock tinder pistol, which realised £880 in an auction of antique firearms. The Home Office website provides information about obsolete calibres that are eligible for sale at auction. Antique wheel lock, matchlock, flintlock and percussion cap pieces are also exempt and can be found in our Sporting and Collectors sales. 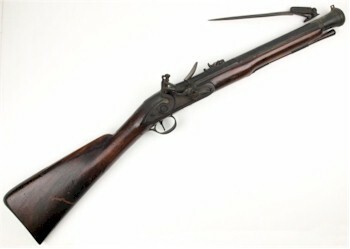 An early 19th century double-barrel flintlock pistol, which sold for £600 in the antique firearms section of a Sporting auction. Flintlocks and later percussion cap pieces are, perhaps, more common than the earlier wheel lock and matchlock firearms of the 17th and 18th century. The 18th century flintlock tinder pistol shown above is a good example of the type of early pieces available at auction for £500. A 19th century, six-shot Coopers patent percussion revolver, which was offered for sale in the antique firearms section of one of our specialist auctions. The development of the pistol from single barrel flintlock pistols through early percussion cap revolvers to early 20th century rimfire examples can be found from as little as £200-£300. The value of flintlocks and percussion caps varies by degrees of quality and maker, from £200-£300 for a plain example through to several thousand for a finely inlaid and engraved pistol by an established maker. 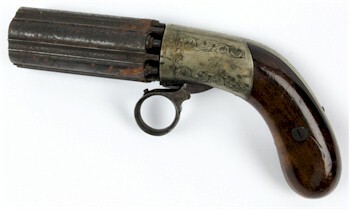 A 19th century flintlock blunderbuss, which sold for £2,100. Punt guns and blunderbusses attract collectors for their unusual characteristics. The large flared barrels could be filled with odd bits of metal and shot to provide a crude but effective weapon. Used at close range by the navy during the 18th and 19th century, a keen collector is willing to pay £800 upwards for a good example.